The North American Texan trainer is one of the most important aircraft of all time and is universally recognized. First built as the NA-16 in 1935, the Texan was in continual production for nearly 10 years and in active use for more than five decades. 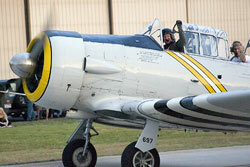 Primarily used as a trainer, the Texan remains a favorite among warbird collectors around the world. The U.S. Navy took delivery of a version of the North American trainer called the NJ-1 in late 1936. This aircraft had fixed landing gear and a fabric covered rear fuselage. Besides serving as trainers, these aircraft also flew as command and staff transports. Shortly after the appearance of the NJ-1, the United States Army Air Corps (USAAC) released a requirement for an advanced trainer offering performance and handling as close as possible to the generation of fighters then in use. North American added a 500 h.p. Pratt & Whitney R-1340 radial engine to the NA-16 airframe and called the new aircraft the NA-26. The NA-26 had retractable landing gear, a full metal fuselage and a position for a single fixed machine gun. The USAAC was elated with the aircraft and ordered it into service as the BC-1. The U.S. Navy also purchased the aircraft as the SNJ-1. From these small initial orders, the North American “Texan” (as the aircraft was commonly known) grew into what has become an all-time aeronautical classic. The basic Texan design constantly underwent modifications. 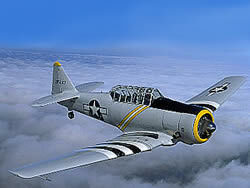 The last model of the Texan, the T-6J, was produced for the U.S. Air Force in the early 1950s. The AT-6 was commonly fitted with a single fixed .30 cal. machine gun, which was used for basic aerial and air-to-ground gunnery training. During the Korean War, the U.S. Air Force and Marine Corps fitted Texans with smoke and white phosphorous rockets and used the plane as forward air controllers. The British Commonwealth, desperately needing modern aircraft, eventually took delivery of nearly 5,000 T-6's. These aircraft were flown by Australia, Canada, Great Britain, New Zealand, South Africa and Southern Rhodesia. Canada produced a similar aircraft (under license), the Harvard, which featured a heating system using engine exhaust but otherwise was largely identical to the American Texan. The South African Air Force (SFAF) retired their fleet of 100 T-6 trainers in the early 1990s, more than 50 years after the SFAF took delivery of its first Texan. The Museum's grey AT-6, Serial Number 42-85697 was built by North American Aviation in Dallas Texas and delivered to the United States Army Air Force (USAAF) on August 19, 1944. The first assignment was to the 3028th Army Air Field (AAF) Base Unit (Advanced Single Engine Pilot School [ASEPS], AAF Flying Training Command [AAFFTC]) at Luke AAF, AZ. In April 1946 it was transferred to the 3010th AAF Base Unit, (ASEPS, AAFFTC) at Williams AAF, AZ. In November 1946 it was transferred to the San Antonio Air Material Area at Kelly AAF, TX. In February 1948 it was transferred to the 2533rd Air Force Base Unit (Pilot School, Air Training Command [ATC]) at Goodfellow AFB, TX. In August 1948 it was transferred to the 3545th Basic Pilot Training Wing (ATC) at Goodfellow AFB, TX. In March 1951 it was transferred to the 3301st Training Squadron (ATC), at Columbus AFB, MS. 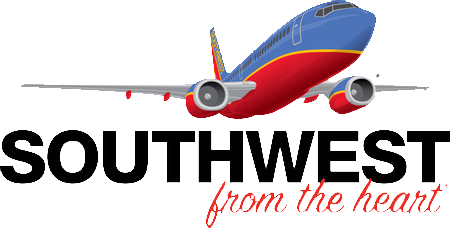 In July 1952 it was transferred to the 3585th Pilot Training Wing (ATC) at San Marcos AFB, TX. In September 1952 it was transferred to the 3555th Flying Training Wing (ATC), at Perrin AFB, TX. In May 1953 it was transferred to the 116th Fighter Interceptor Squadron (Air National Guard) at Geiger Field, WA. In March 1954, it was transferred to the 3040th Aircraft Storage and Disposition Squadron at Davis Monthan AFB, AZ. In September 1955 it was dropped from inventory as surplus. ENGINE Pratt & Whitney R-1340 w/600 h.p.